Fresh green, woody and earthy aroma of an evergreen tree. Reminiscent of the great outdoors. COMMENTS: This scent is my favorite. Paired it with Alpine Cheer for a two bar Christmas gift pack. Was a big hit in pink and blue green. COMMENTS: This is so fresh and bright. I will definitely buy it again! COMMENTS: Fir Needle is one of my staples. II make a very popular bug repellent with it by blending other Essential Oils to it. It is a very fresh natural “walk through the woods” type of scent! Love how it smells so fresh like walking through a forest! COMMENTS: my favorite fir for woodsy soaps. it smells just like fresh pinecones. COMMENTS: Men love this in my soap! "I use this in my men's soaps"
COMMENTS: I use this when making men's soaps or winter holiday soaps. A little goes a long way. COMMENTS: One of my favorite EOs. I Love anything pine, forest like. Great EO. COMMENTS: Smells wonderful! Used in my bug repellent line. COMMENTS: This was my first time purshasing this EO and I have been very pleased with the quality of this product. This EO has a very strong forest and clean aroma and everyone has liked it. The EO lasts through the curing phase. 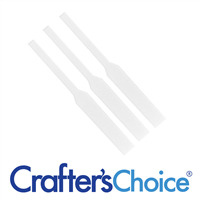 I used it in combination with the dirt FO from Crafter's Choice with excellent results. COMMENTS: This Fir essential oil smells great combined with orange essential oil to create Orange Fir bath bombs and bar soap. 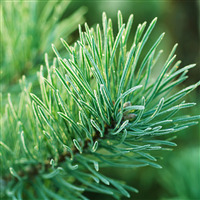 The fir smells wintery and a bit medicinal, which also makes it work great in salves and balms. It has a very fresh, strong, and astringent scent. COMMENTS: This is a nice clean fresh scent. It smells like the deep forest! I use it in my candles. COMMENTS: I sell some of my soaps to a natural foods store and they require all natural ingredients. They do not want any fragrance oils used. I was looking for a manly scent that reminded me of the outdoors, and your Fir Needle E.O. was just what I needed. I just got a reorder on these. I used sea clay for the colorant and they looked quite nice. "great for fall and winter"
"I use this year round, but it is a holiday staple!" COMMENTS: This adds a refreshing dimension to my clay and charcoal soaps, it is clean and pure smelling! Behaves well in CPOP and HP as well as CP. COMMENTS: I really like the smell of this EO. It has a nice fir smell that doesn't smell chemically at all. Happy with this product. • Great smell and price. COMMENTS: Works well in CP soap. Brings the outdoors in. Great for masculine blends. "Mountain forest, clean, crisp scent!" COMMENTS: Perfect for my melt & pour soap and bath salts. True mountain forest scent! I will continue using this. "Like being in the woods"
COMMENTS: THIS is how fir needle should smell! Like walking through the woods, like fresh pine trees after rain, like Christmas trees all over my house! I used it for Christmas, the scent accents our real tree perfectly! It's so fresh and evergreen smelling I use it in my water diffusers and in soap and and and and. I love love love this EO! "Wonderful Smell, like walking in the woods"
"Smells just like a fir tree!" COMMENTS: Scent held up well in CP soap. Didn't trace. Great scent! COMMENTS: I use this one in one of my beard oils and people love the smell of it. I will always buy this smell. COMMENTS: Nice pine scent. Mixes well with other EOs. COMMENTS: Nice Pine scent, blends nicely. COMMENTS: This Fir Needle is so nice in candles. Not an overpowering tree smell. I want to make CP soap with it now. Ordered more. COMMENTS: This essential oil smells wonderful! Very pleased! COMMENTS: I really enjoyed this scent and will purchase it again! COMMENTS: This is a nice pine scented EO...I use it in my natural soaps...good at the holiday time too. COMMENTS: A great EO for crafting Christmas scents. Used in hot process soap and wax tart melts. Very pleased with this one. COMMENTS: This is exactly what I was looking for! Great nature scent. 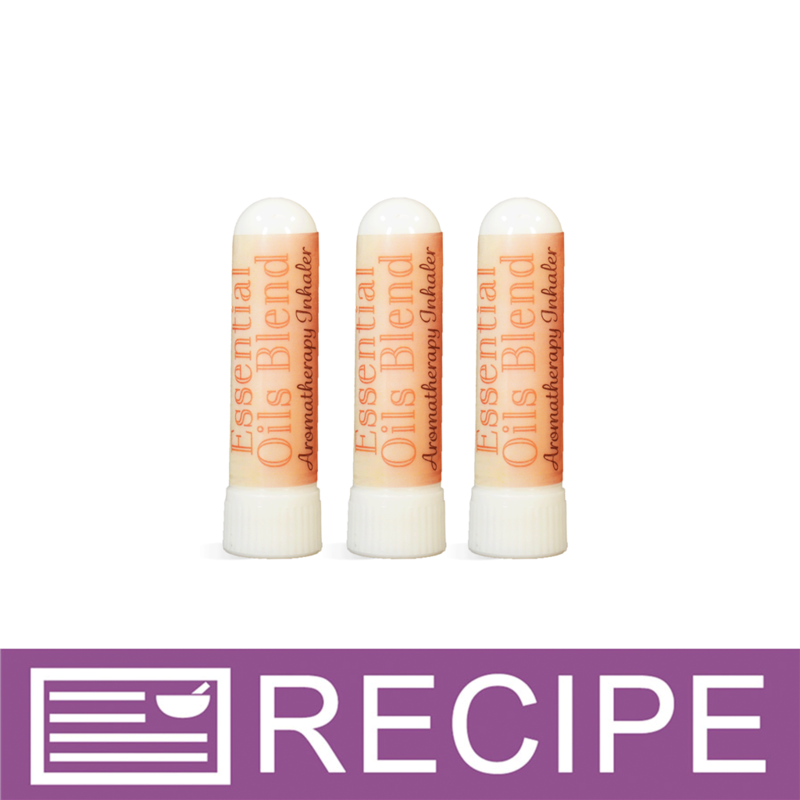 COMMENTS: This oil smells wonderful and blends nicely into rebatch soaps. I also use it for body creams as it has a very nice, clean, earthy scent. COMMENTS: This essential oil is, by nature, very light. I blend it with other essential oils for best results. It stays well in the soap, but is not very noticeable in final bars. Excellent quality though! COMMENTS: Fir needle scented bath fizzies are a childhood memory of mine, and this essential oil recreated those memories. The fragrance works well in bath fizzies, releases an amazing scent when used, and also does well in clear MP. Will try next in CP and HP, and will definitely buy again. COMMENTS: The scent is fantastic it works for room sprays, soaps, cleaning products. The scent actually works very well in very hot water and leaves your floors and cabinets smelling outdoor fresh . Get this and not only will your clients like it but you will love it. COMMENTS: This is a wonderful scent for the winter months. Smells like the outdoors . . . can be used in a "hunter's" soap as well. COMMENTS: This is a great fir essential oil. We have made many 'man' products with this and the women, without fail, love them as well. Definitely a keeper! COMMENTS: this is a nice pine sent!! COMMENTS: When I first smelled this I was really turned off it burned my nose and for some reason smelled like armpit, But I decided to give it another try. I put a drop on a cotton swab and left it to sit and smelled it later and it was actually quite nice but rather intense fragrance! I have since used it in soap blended with other smells and it balances nicely. Definitely a less is more scent in my mind which is fine by me because that means it will last longer! COMMENTS: Fresh, clean, didn't discolor the soap and I could work for ever with the soap, stayed nice and liquid. Will order again. Have some designs in my head that I now know will work with this essential oil. COMMENTS: This Fir Needle EO is perfect. It is a crisp clean scent and its wonderful to combine. My favorite is to combine Cedarwood and Fir Needle together. Its a woody manly scent. This EO is also wonderful to use around the holidays. COMMENTS: While I've never used Fir needle on its own in oil in cold process, it's a fabulous for blending custom Christmas blends that are unique and lovely. COMMENTS: I like that this adds a nice woodsy smell. I used it in my hunter's soap, and it turned out great! COMMENTS: I mixed this with patchouli and a tiny hit of lemon and the men have loved it. It is a great hunting soap. COMMENTS: I love love love this essential oil! It smells like you've wrestled a pine tree. Perfect scent! COMMENTS: Perfect! Doesn't smell icky like air freshener--it's nice and natural. COMMENTS: The scent is light enough not to overpower. 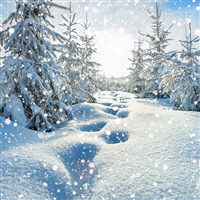 It will be nice for the holidays. "Nice Fir Needle Essential Oil"
COMMENTS: Love the smell straight out of the bottle for home fragrance products. Looking forward to mixing with others when I have some playtime. COMMENTS: Perfect scent for a Christmas soap! COMMENTS: I blended the Fir EO with Orange EO and it made the best Christmas scent in a cold process soap formula. It didn't cause the soap to trace quickly, so I had plenty of time to add pigments. COMMENTS: I love LOVE this EO as do my customers. When I first used this product in soap and placed for sale, the soap went quickly. Great Christmas scent! "Christmas, condensed into a bottle." COMMENTS: A solid choice for that winter outdoorsy aroma. High quality, could probably use it in any sort of green soap all year round as well. • Perfect for the holidays. COMMENTS: This was a TRUE fir needle scent. I LOVE it. It was a good price as well, essential oils are always expensive but WSP makes the within reach and makes sure they are buying from solid source. 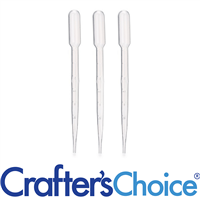 As a retailer who buys from WSP to stock my shop, I depend on them for their research into the quality of the products. They definitely take that seriously and it's why I trust them. COMMENTS: As usual, WSP offers a competitively priced, high quality essential oil. Perfect addition for my Christmas scents! COMMENTS: Everyone that smells this in my HP soap loves it. It is a nice, medium scent, not overpowering or sharp. 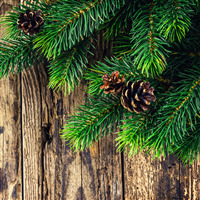 COMMENTS: Fir Needle is a great EO for making all natural Christmas Tree soaps! Fresh, clean scent-yet it smells like a just cut pine tree. Love it for the holidays! COMMENTS: Of all the pine and fir essentials, this one is my favorite. It is softer than pine without the sharp resin smell with a bit of woody undertones. Got this for the great out doors smell, holiday scented soaps and for some mens scents in my products. COMMENTS: This is a very soft fir scent. I love that it is potent but not overwhelming, the scent is smooth and blends excellently. Thank you for a great quality product at a great price! COMMENTS: Love, love, love this EO. Reminds me of the Adirondack mountains. Perfect. COMMENTS: Great EO. Smells warm and pine-like, softer and more rounded than other pine EOs I've tried. Very pleasant just on its own, will blend nicely. COMMENTS: I WAS VERY PLEASED WITH THIS OIL, IT SOAPED GREAT AND SMELLS SO COMFORTING, WILL ALSO MAKE A GOOD HOLIDAY SENT, IN MY OPINION. "Is this oil safe to use with making candles?" Staff Answer There are no restrictions on usage rates of this essential oil in candles according to IFRA.